A long time ago, I read the stories of Laura Ingalls Wilder and her family for the first time. The Little House books captivated the history lover in me. They still do. 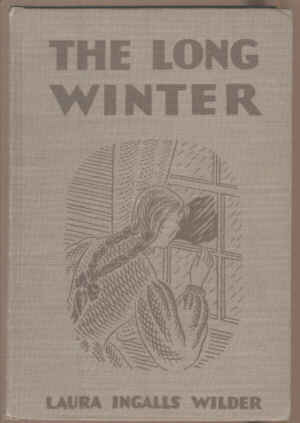 My favorite of the series is The Long Winter. Mrs. Wilder accurately detailed the events of what would widely become known as the Dakota Territory’s Hard Winter or the Snow Winter of 1880/81. During the summer of 1880, the people of Dakota Territory had no forewarning of the winter to come. Indian summer lasted into October and folks were taking their time with final preparations for winter. Hay still needed to be cut, feed corn picked and firewood gathered. Little did these hardy pioneers know how profoundly a little procrastination would soon affect them. Suddenly, in mid-October,1880, without warning, the vast Dakota prairie skies darkened and it began to snow. According to most accounts, folks didn’t panic when it started to snow. It was early in the season, after all, there’d be plenty of time to finish winter preparations, but quickly it became apparent the blizzard wouldn’t soon end. Blizzard after blizzard blew across the plains of Dakota Territory, and by mid-December, snowdrifts completely covered single story buildings. Farmers had to tunnel from their house to their barn. There are stories of settlers tunneling out of their home only to have to burrow back down through ten, or eleven feet of drifted snow to reach their livestock in the barn. A group of cowboys gave an account stating that a twenty-eight-foot deep canyon filled to the top with drift snow. Twenty-eight-feet! That’s a lot of blowing and drifting snow. The Dakota Territory settlers were a hardy bunch and adapted to the freezing temperatures and continuous snowstorms until their food ran low. The threat of starvation loomed heavy over the towns as day after day the supply trains failed to arrive. Businessmen formed committees to ration out food and fuel, so everyone had their fair share. Families moved in together to share heat and chores. In my research, a diary entry from a town’s woman said that after blowing snow had covered her windows, and the lamp oil had run out, sitting in the near dark day after day became the most distressing and depressing part of the Hard Winter. By January 1881, trains had suspended service to the area due to the massive amounts of snow. In an attempt to resume rail deliveries, railroad companies hired hundreds of men to dig out the track, but to no avail. As soon as the men dug out a stretch of track, a new storm would begin and blowing snow would fill in all their hard work. February 2, 1881, another massive blizzard bore down. There were nine straight days of white out conditions, and no winter thaw. It seemed the season would never end. While there was much hardship during the hard winter, there was little real suffering. Ranchers lost livestock and farmers lost crops, but there are very few reports of human deaths. This is a testament to the hardiness and comradery of the settlers. Finally, in the late spring of 1881, the weather quickly warmed and the snow melted . . . In three days. Vast sections of the plains were flooded and ice jams clogged rivers. The town of Yankton was almost entirely washed away. More lives were lost in the floods after the blizzards than during the entirety of the Hard Winter. Living in the south, I’ve forgotten how cold winter can be. My Michigan family laughs when I complain about the cold 60-degree weather. (I know, it is a little pathetic!) I can’t imagine living through a winter like the Hard Winter of 1880/81. Do you have any winter tales to tell? Have you had to survive without heat during a blizzard? Or maybe an ice storm took out your electricity for a few days? Please share your experience in the comment below. Thank you for joining me here at Heroes, Heroines, and History. Have a blessed January and keep warm! Michele Morris’s love for historical fiction began when she first read Laura Ingalls Wilder’s Little House book series. She grew up riding horses and spending her free time in the woods of mid-Michigan dreaming of days-gone-by and knights-in-shining-armor. Therefore, it only makes sense that she now writes historical romance with a touch of suspense. Married to her high school sweetheart, they are living happily-ever-after with their six children, three in-loves, and six grandchildren in Florida, the sunshine state. 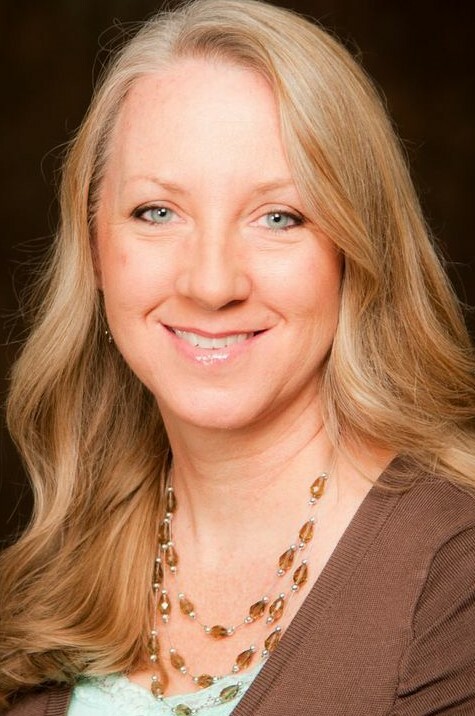 When not spending time with her large brood or writing, Michele enjoys photography, genealogy, and cooking. The winter of 1977-78 was very snowy in Ohio where I was teaching school, and I remember the weathermen predicting that the winters would be just like this for the next 30 years! Well, that didn't happen. In fact the next year was rather mild. I always loved the "Little House" books. My mom read them to my sister and me when we were young. Donna, I grew up in mid Michigan. During the same year (1977/78), we had a blizzard/ice storm that caused a power outage. My little brother had a bad heart and was in the hospital during that time. So, I stayed at my aunt's house. I vividly remember popping pop corn, roasting hot dogs, and cooking beans in the can in the fireplace. I LOVED it! I'm not sure I'd feel the same as an adult! I remember the Blizzard of '78 very well. But as a kid it was more of a novelty. I remember watching people walk down the middle of the street to get wherever they needed to go. When the plows came thru they pushed snow right up onto porches. Getting to stores downtown meant climbing over mtns of snow to get from the street to the sidewalks. In my Jenna's Creek series which takes place in southern Ohio during the '70's Book 4, Legacy of Faith, is dedicated to the blizzard.